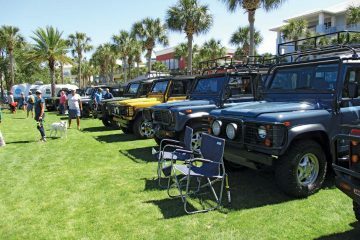 My historic city of Mobile, AL, has its fair share of newer and heritage Land Rovers, but one really stands out—the ‘72 Series III 109” pickup of Keith Sherrill and his Haint Blue Brewing Company. 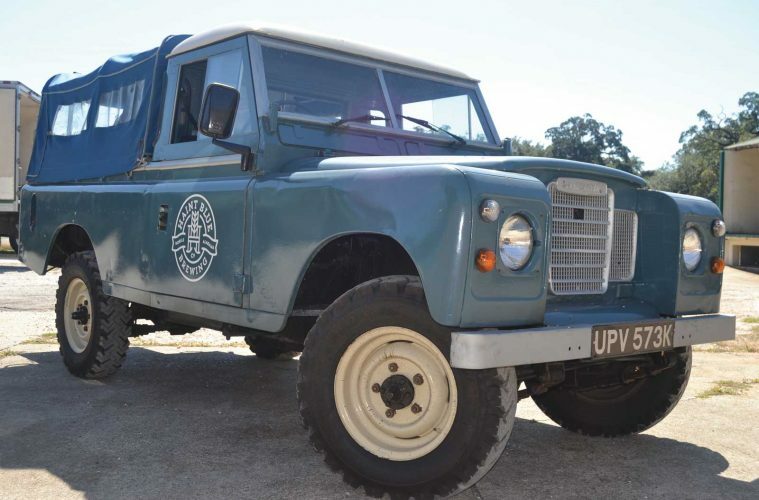 The brewery takes its name from the soft blue-green paint color on porch ceilings common to the South; it makes itself stand out through the use of its Land Rover. 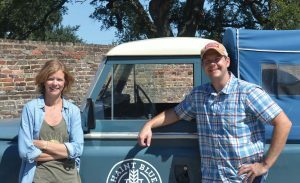 Their blue pickup first caught my attention when I saw it in the company’s Wefunder web video, driving around the neighborhoods delivering Haint Blue Beer to friends. 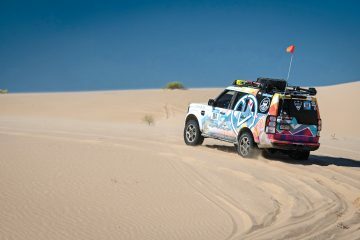 I had to learn more about this Land Rover, so I tracked down Keith and his company vehicle. “I have always been a sucker for old cars, and I wanted something that fit into what we were trying to do here at the brewery,” Keith told me. 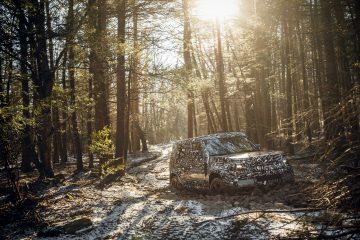 He decided he needed a Land Rover for the company after spending time with his brother-in-law, Jeremy Parden, in Asheville, NC. 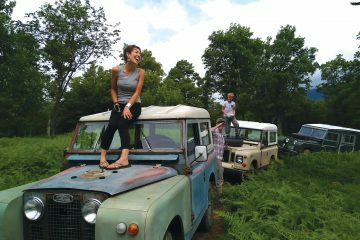 Growing up with a Land Rover at the family’s hunting lodge, Jeremy bought his much-loved ‘69 Series II-A 88” Bugeye. Keith felt that an 88” would be too small for his work, so he preferred the extra room of a 109”. 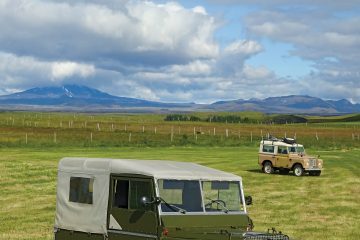 Not long afterwards, Keith and his wife Grace went to Europe for a business trip and remembered that they owned a Land Rover, still in England. 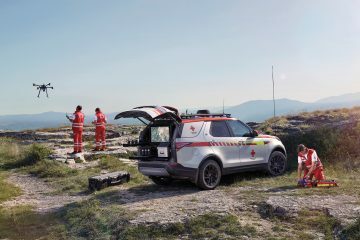 The Land Rover was located on a farm near the town of Marlborough, a couple of hours away. They arranged to meet the seller at a train station in London. With the keys to their new Series in hand, they took the maiden voyage to Stonehenge. 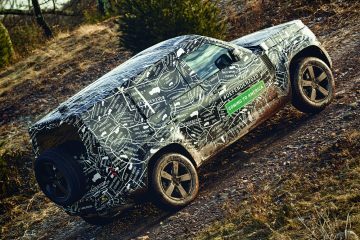 How cool is that for a first drive in your new Land Rover? The Haint Blue Series made it to the States and now earns its keep as the workhorse for the brewery. Haint Blue will be the first microbrewery located in Mobile since prohibition. Keith bought the former Crystal Ice warehouse, dating back to the early 1900s, in a historic part of Mobile ironically called British Park. Keith thinks that the Series will fit in quite nicely there. 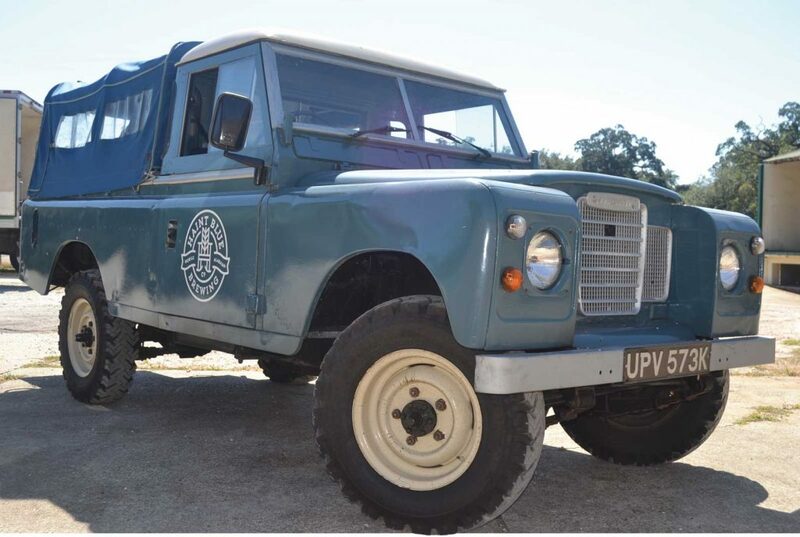 He uses his Land Rover to promote the new microbrewery and as a work truck. Glad to see it being used as it should.